Hello everybody and everyone, I hope you're havin a nice day and stuff. Well, my name seems to be obviously Leana -and first of all: Thanks for visiting such an unknown page like mine, I really apprciate it. Thanks for visiting again, or for the first time, or the last time. Let's just enjoy the moment. You'll find all kind of stuff on my page, most of them traditional work. I hope you like my stuff and all and all, typical self-advertising-talk here. If you have questions, just want to know something or wanna talk, idk, you can leave a comment or just write a note. I'll try to submit new art every weekend. Or second. Well...someday. Definitely. 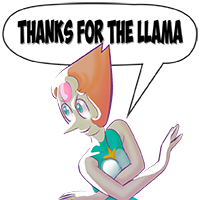 No need to thank for llamas, faves, watches or something other cracy. I am happy to do so. Hi, I would like to use this art on my website (under construction), and possibly other materials (e.g., business cards, etc). I really like it. May I use it? Thank you! three. ur art! i like it! HAPPY BIRTHDAY once again, Leana, a.ka. "LeanasArt," hobbyist 'n traditional/digital artist friend! Remember the two anime (Haruhi-chan 'n Mikuru) muro drawings I just made for you last year, dear artist friend? And once again, keep up the good work on all awesome hobbies, traditional/digital art, drawings, 'n paintings; I love 'em!